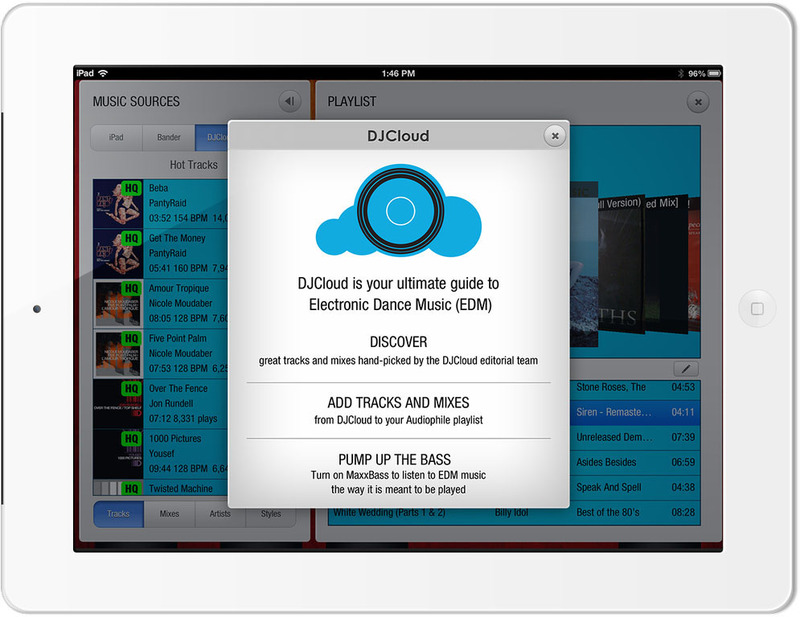 Musicsoft Arts is a New York City based company that is fully dedicated to building great mobile music experiences. In the last 3 years, Musicsoft Arts has established itself as a leader in the rapidly-growing mobile music apps market with multiple apps in the top music iTunes App Store charts, and with over 12 million App users worldwide. For more information about Musicsoft Arts please visit http://musicsoftarts.com/. 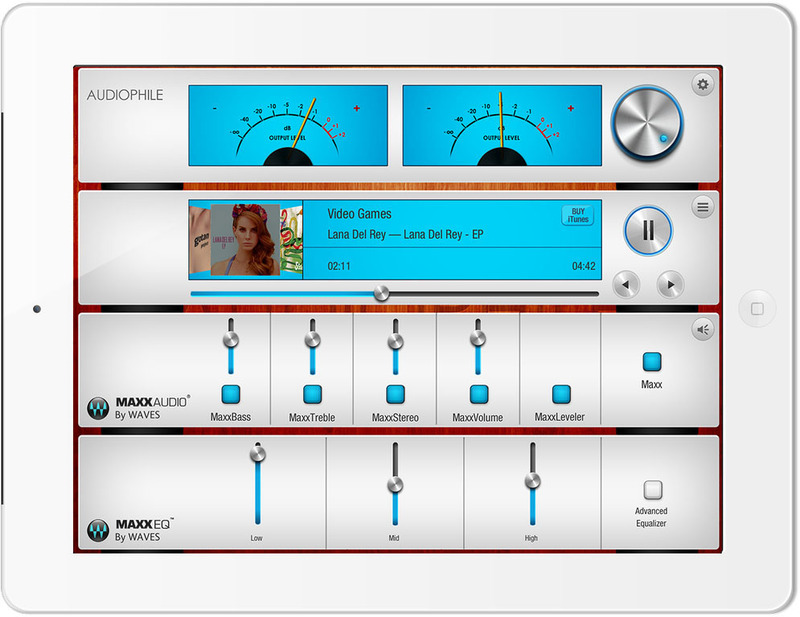 Audiophile for iPad is available in the App Store worldwide. For more information about Audiophile please visit http://audiophileapp.com. 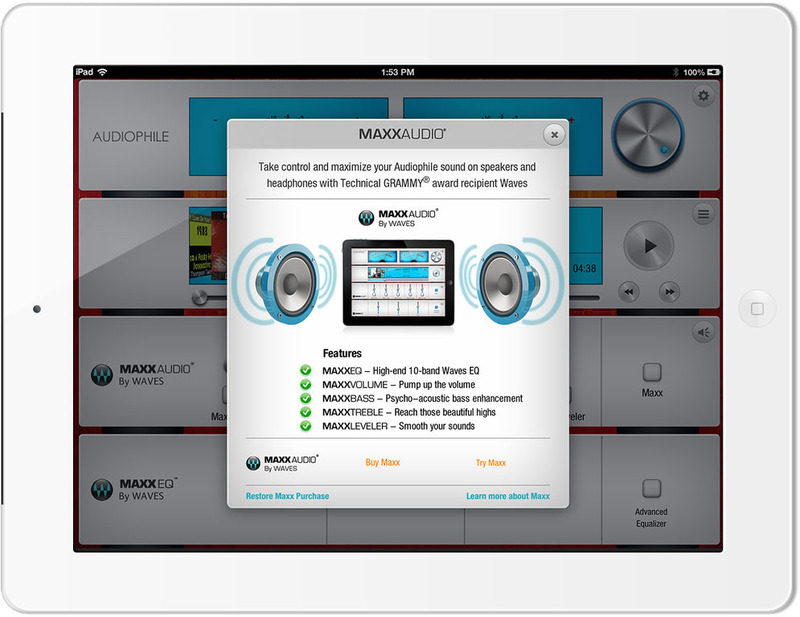 MaxxAudio® is a suite of state-of-the-art technologies from Waves Audio, recipient of a 2011 Technical GRAMMY® award. From intelligent volume controls and multiband equalization to psychoacoustic bass enhancement and spatial expansion, electronics powered by Waves MaxxAudio® deliver bigger, better sound, using the same processors heard on hit records, major motion pictures and top-selling video games.